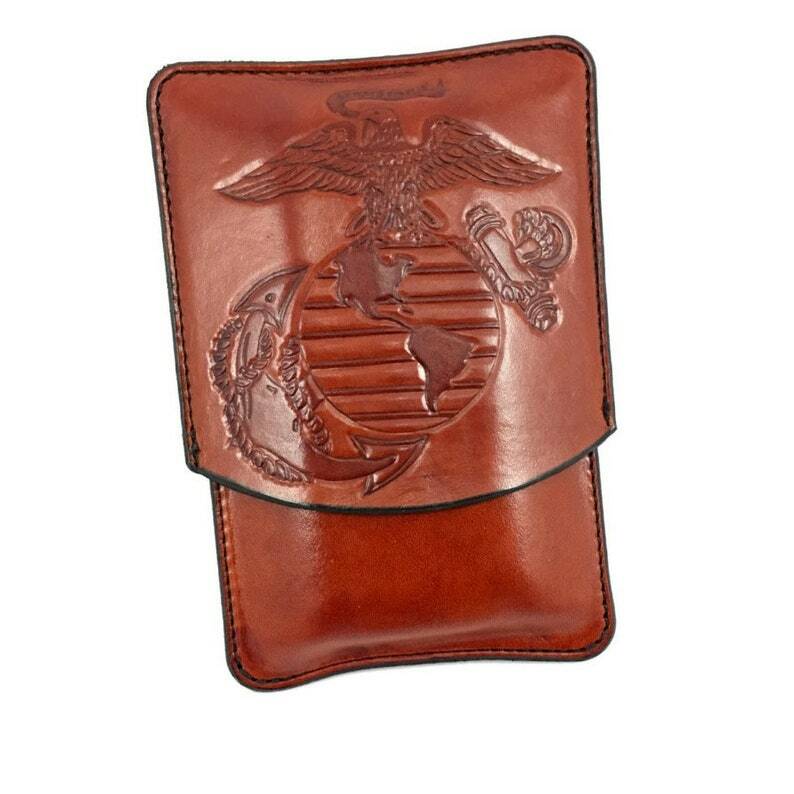 Here is a United States Marine Corps Logo leather cigar case. The color of the case is a slight reddish brown with contrast dye on the tooled logo. The color of the dye varies per case slightly. The logo is hand tooled into the leather, and hand dyed by myself. I use premium thoroughbred Leather vegetable tanned leather, hand cut, meticulously and carefully machine stitched, hand carved, and hand dye and finished. please note any cigars in the photos are for display purposes and are NOT included.